Preparing a new edition of any guidebook involves challenges, and one of them is to present exchange rates and prices accurately. My upcoming fourth edition of Patagonia covers three countries, but Argentina is the most challenging to predict because of its volatile politics and economy. During the research period, its peso fell from six to eight-plus per US dollar, but that’s not nearly the whole story. Argentina’s made front-page news recently, after having failed to persuade the US Supreme Court that its plans to pay debt from its 2001 bond default and 2005 restructuring conformed to the New York State laws under which much of that debt was contracted. As of mid-2014, it was still unclear whether the country was again facing default that might result in another peso collapse. Given its foreign debt problems, due partly to limited foreign currency reserves, President Cristina Fernández de Kirchner’s government instituted a series of patchwork measures to stem the flow of dollars, which Argentines often use to preserve their savings in the face of inflation and a depreciating peso. One of these was the cepo cambiario (“currency clamp”), which has made it difficult or impossible to purchase foreign currency – even for overseas travel, where Argentines must use credit cards with purchases subject to a punitive tax. That’s led to an active black market for the so-called “blue dollar,” which has traded for upwards of 12 pesos despite some fluctuations. At that rate, Argentina is a relatively inexpensive country for foreign visitors, but for those who don’t know their way around, there’s a certain risk in changing at so-called cuevas (“caves”) in Buenos Aires and elsewhere. Some cambios (formal exchange houses) have been paying the blue rate, but real estate brokers may be another option. A few businesses, most notably some hotels and restaurants, may accept cash dollars at a premium rate. Of course, using the “parallel” market also entails the risk of carrying substantial amounts of US cash (Euros and other currencies are not popular). Some purchasers will only accept 50- and 100-dollar notes at the blue rate. For current Buenos Aires rates, check the website Dólar Blue or see the widget on the column to the right; rates are usually lower in the provinces. Prices for the new edition were calculated at the official rate, but are vulnerable to dramatic changes. 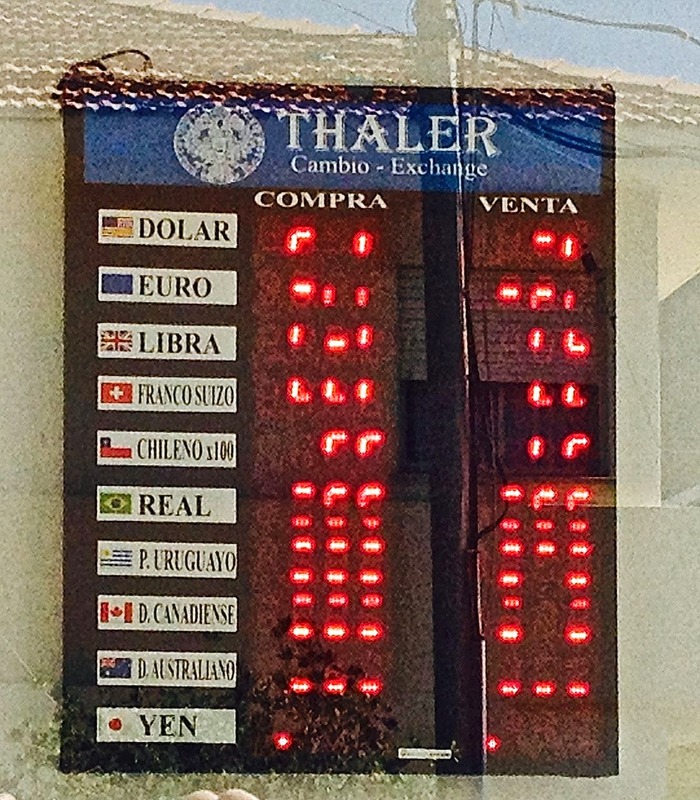 During the research period, Chilean exchange rates versus the dollar slipped from roughly 520 pesos per dollar to the 550 range, and have fluctuated only slightly. There is no black market and, barring unforeseen circumstances, both exchange rates and prices should remain relatively stable. 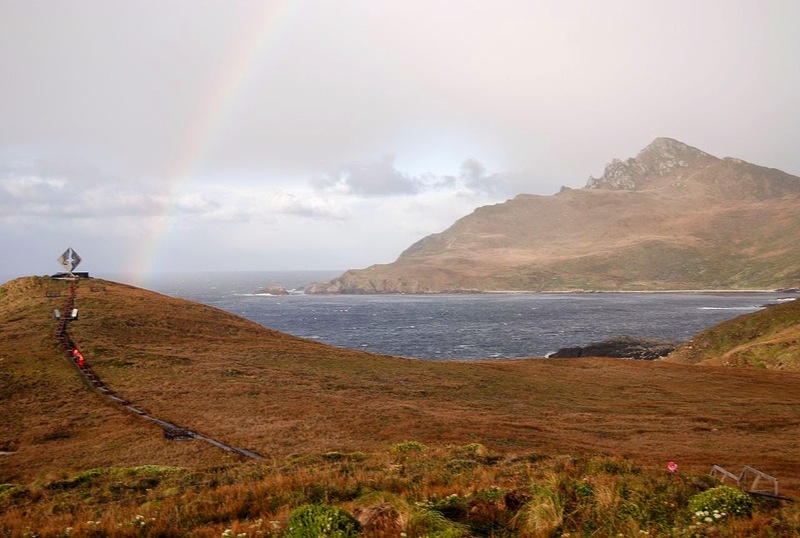 The Falkland Islands pound, at par with British Sterling, is likely to remain the most stable of the bunch. In the Southern Hemisphere it’s winter, a time when relatively few travelers choose to take a Patagonia vacation, but there are various ways to prepare for southernmost South America before the trip. Both Argentina and Chile (to a lesser extent) have flourishing film industries that have produced features that provide entertaining and informative background about the region. 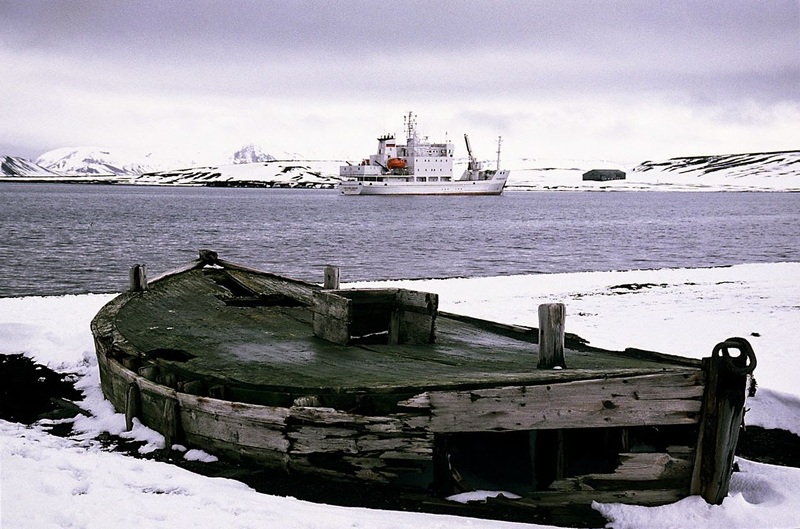 In 1978, the two countries nearly went to war over three small islands in the Beagle Channel before a papal intervention soothed matters. 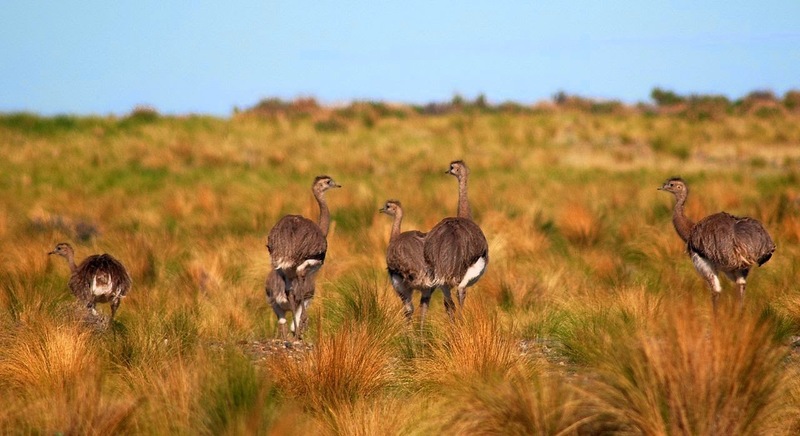 Much of the mainland border between the two nations, though, is a “Big Sky Country” that consists of a windswept steppe where guanacos and rheas bound back and forth without worrying about intangible lines on the landscape. Set during this near-war, Chilean director Alex Bowen's Mi Mejor Enemigo ("My Best Enemy," 2005) is the tragicomic tale of Argentine and Chilean army patrols who encounter each other without knowing what side of the border they're on. Though they’re a bit startled, a minor medical emergency helps them overcome any potential antagonism, and they end up playing a friendly soccer game. Not only that, the Argentines even manage to instruct their Chilean counterparts in how to dance tango – men used to dance it together in Buenos Aires brothels - and the Chileans respond by teaching the Argentines the cueca, their own country’s typical folkloric dance. The officers don’t take kindly to this fraternization but, given the uncertainty and the absence of orders from above, there’s not much they can do about it. In the end, a papal mediation keeps the two countries from going to war, but a misunderstanding leads to a brief firefight with fatal results. Fortunately, today’s Patagonian landscape bears almost no trace of a conflict the two countries managed to avert. As linked at top, Mi Mejor Enemigo is available on Youtube in its entirety, but English-speakers will have to enable the imperfect automatic translation for subtitles. As a rule, I don’t take vacations. After spending roughly five months every year in southernmost South America, updating my Moon Handbooks to Argentina, Buenos Aires, Chile and Patagonia, simply staying at home and sleeping in my own bed constitutes something of a vacation. I rarely travel for pleasure alone, though my South American travels for work are still pleasurable. Still, while my recent Scandinavian travels were something of a holiday, I couldn’t overlook the Latin American presence, starting with the Oslo pizzeria about which I wrote recently. I especially looked forward to Stockholm, where we spent last weekend, because the Swedish capital was a refuge for many who fled the Southern Cone dictatorships of the 1970s – ironically, in the Stockholm police drama Arne Dahl, one of the detectives is a Swedish-born Chilean named Jorge Chávez (though Matías Varela, the actor who portrays Chávez, is the son of Spanish immigrants). 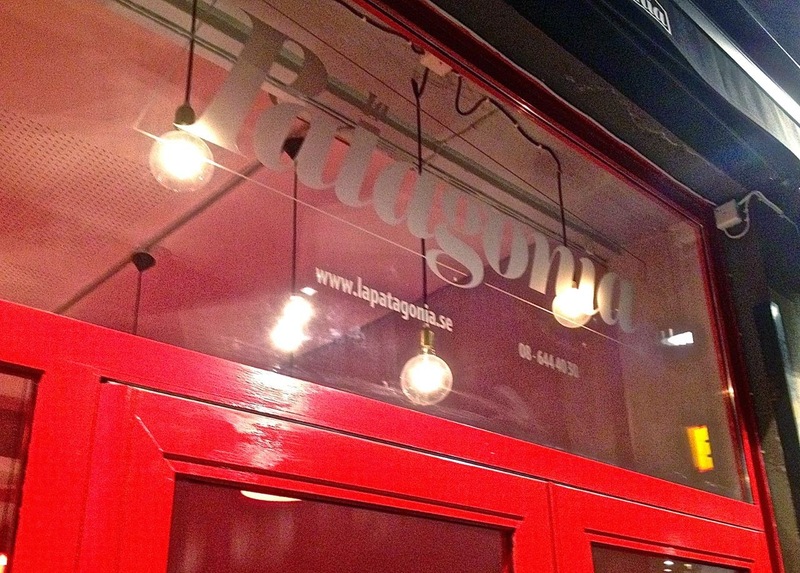 Unfortunately, we arrived late Friday night – so late that restaurants were closing up their kitchens and we missed the opportunity to dine at La Patagonia or Paladar de Cuba, both easy walking distance from our rented apartment in the Norrmalm district. We had to settle, instead, for plain takeout sandwiches. On Saturday, though, we walked through Gamla Stan, Stockholm’s medieval nucleus, but we had already lunched when we heard South American voices – Argentine and Chilean - and stumbled upon the restaurant Samborombón. That’s a story in itself – for some incomprehensible reason, Swedish composer Evert Taube chose a nondescript bay in Buenos Aires province as the site for the kitschy Fritiof och Carmencita that’s remained a popular sing-along for Swedes ever since 1937. In fact, there’s no specific locality named Samborombón, though it’s perhaps the sort of place former South Carolina governor Mark Sanford might have fabricated a few years ago. 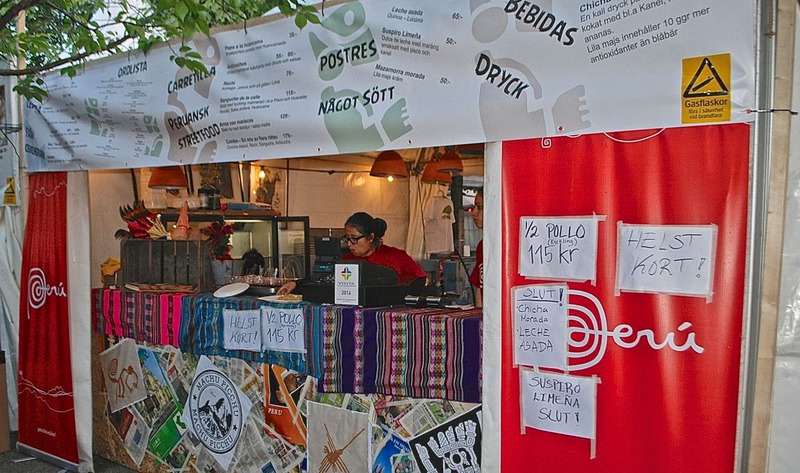 That evening, we considered walking back to Gamla Stan but, en route, we stumbled upon Smaka på Stockholm, a five-day food fair in Norrmalm’s Kungsträdgården park, where a Peruvian stand tempted me with ceviche but, unfortunately, it included mussels – to which I am allergic. Still, we found enough appealing food that we postponed another possible excursion to Samborombón. Sunday, though, we took to the train to Uppsala for a long leisurely lunch with Mats Högberg, one of my newly discovered cousins, and his family. 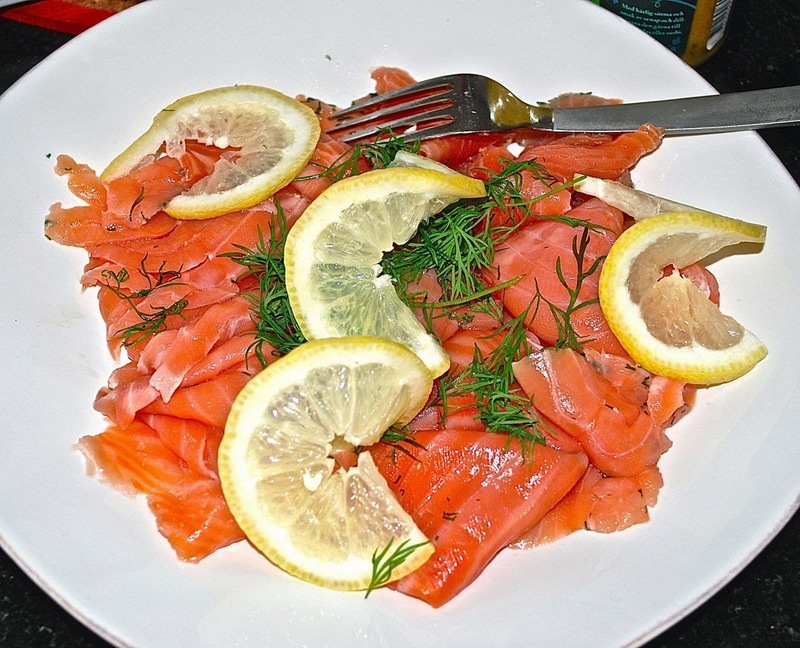 While we didn’t anticipate anything Latin American on the multi-course menu he and his wife Sofia had prepared, we did enjoy the gravlax salmon that’s often a presence in Buenos Aires restaurants such as celebrity chef Germán Martitegui’s Argentine-Patagonian Ølsen. This, though, was the closest to a full vacation day that I’ve experienced in decades. 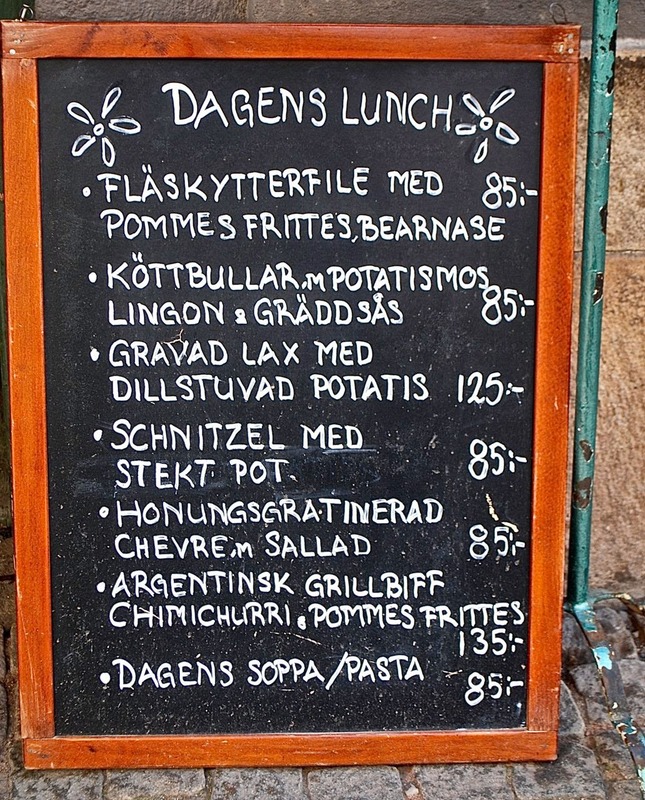 Returning late to Stockholm, we didn’t bother with dinner, which would have been superfluous, but on our last full day in Sweden, we returned to Gamla Stan only to find that Samborombón was closed Mondays and we settled for an ordinary lunch. 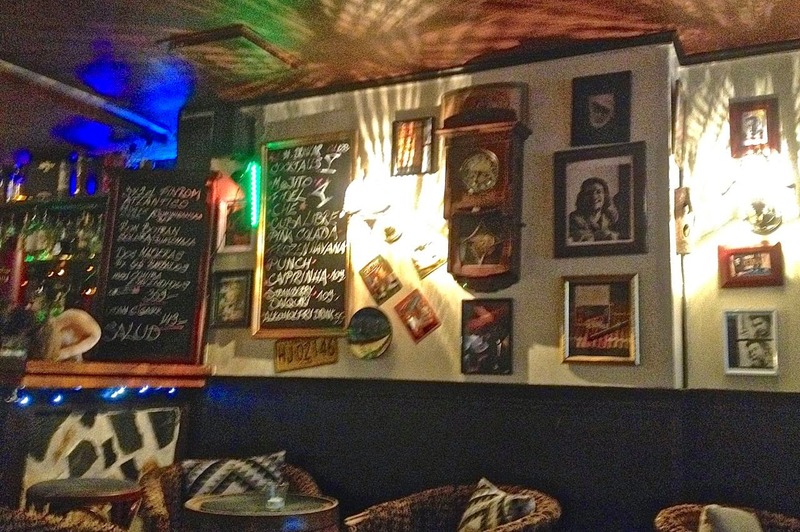 That evening, we set out to try La Patagonia but, after finding it closed as well, we settled for Paladar de Cuba – where a Chilean waiter served us mojitos opposite a wall that included photographs of Argentine revolutionary Ernesto “Che” Guevara. It wasn’t quite what we had hoped for, but my wife’s beef dish and my fish stew left us satisfied and prepared for Tuesday’s flight home. Thus, on my first major trip to Scandinavia, I've gotten to thinking about the extremes of my South American and European travels, on my first visit to Europe since 1987. 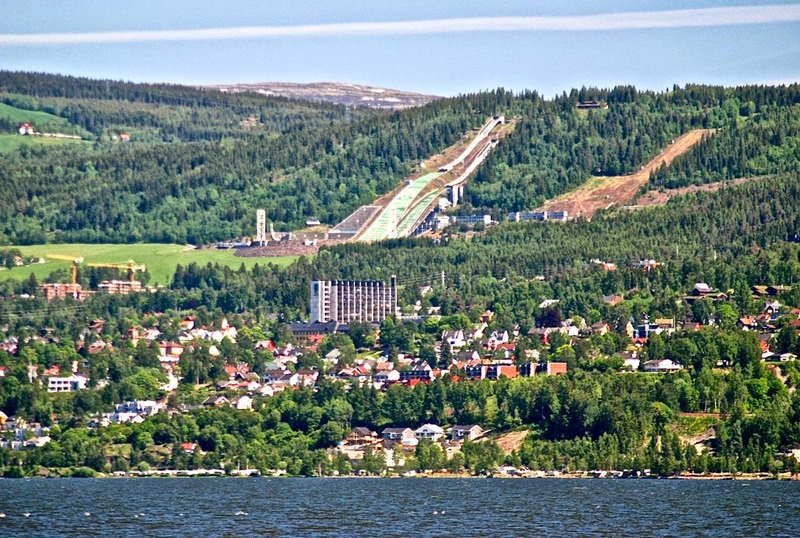 Last Sunday, as we rented a car in Oslo and drove north, we headed to Lillehammer (pictured above), site of the 1994 Winter Olympics and, more recently, the comical Netflix gangster series set in that tranquil ski resort about three hours from the Norwegian capital. At 61° 8' 0" N, Lillehammer became the most northerly point I have ever visited, and we greatly enjoyed Maihaugen (pictured above), which must be one of the world’s finest open-air museums. Its assortment of classic Norwegian folk constructions, many of them dismantled elsewhere and re-erected here to form a mock village, provides a vivid glimpse into early sub-Arctic architecture and the people who created it; role-playing actors occupy some of them, and a former Oslo postmaster is a true scholar who explains the post office’s role in uniting the country through the railroad system. I might add that all of them speak fluent English. 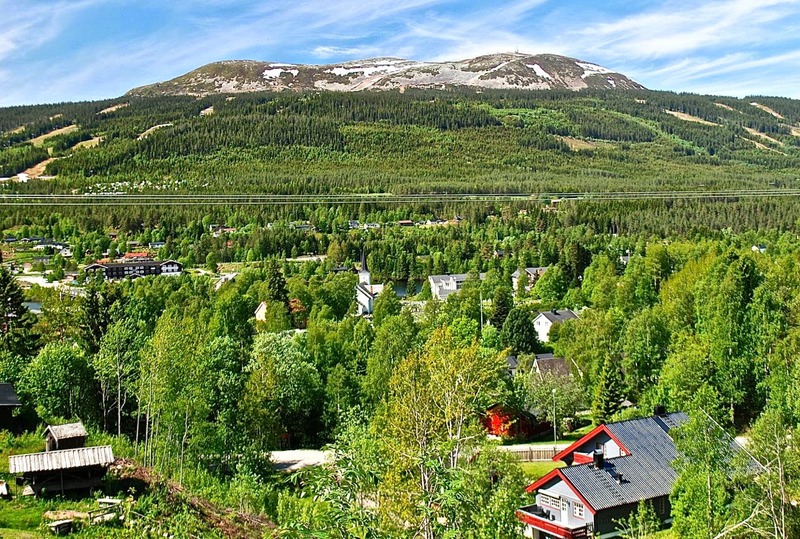 Lillehammer’s reign was brief, though – the following day we drove east and then north to Trysil (pictured above, at 61°19' N), my father’s mother’s birthplace. 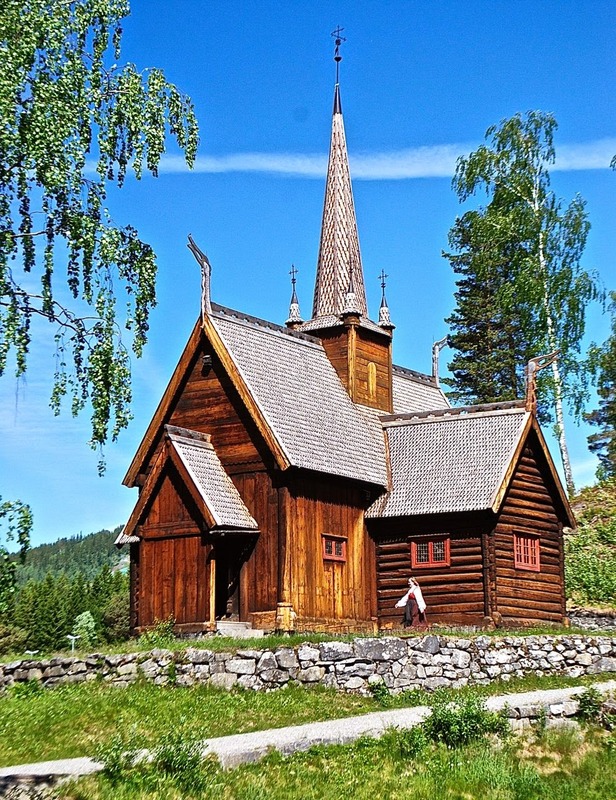 Like Lillehammer, Trysil is now a ski resort, but in my grandmother’s day – she left for the United States in 1904 at the age of 21 – it was a verdant valley of mid-sized farms along its namesake river, which flooded from snowmelt just a week or so before our arrival. With help from local historian Olav Tangen and others, we located Akre Gård, the farm on which she was a pige (household servant) before moving to Minnesota and marrying into my grandfather’s family. She was the only one of my grandparents whom I knew well, since she moved with my aunt and uncle to a location near my own family in Washington State in the mid-1960s. But how to compare my northern wanderings with my travels in the south? Obviously, Lillehammer and Trysil are significantly closer to the North Pole than Cape Horn is to the South, but I have traveled beyond the continent. 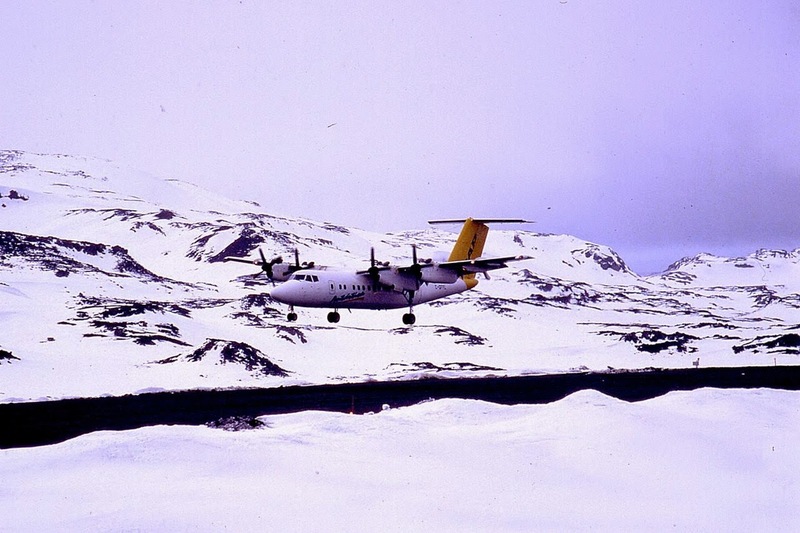 In 2004, I flew from the Chilean city of Punta Arenas to King George Island (pictured above, 62° 2′ 0″ S), where several countries maintain Antarctic bases, for a week-long cruise with Antarctica XXI, still the only company that offers a fly-cruise combination to the white continent. On the same trip, I reached Deception Island (62° 38’ 37” S, pictured above) and Brabant Island (64° 15’ S, pictured below)), which will set the standard for any further boreal adventures. I’m not likely to return to Antarctica but, with numerous Swedish relatives on my mother’s side, it’s probable I’ll return to Scandinavia (though I apparently have no living kin in Norway) and visit more northerly areas. Meanwhile, we have had spectacular weather, with sunny skies and temperatures reaching up to 25° C (77° F), though snow covers the ground for several months every year. 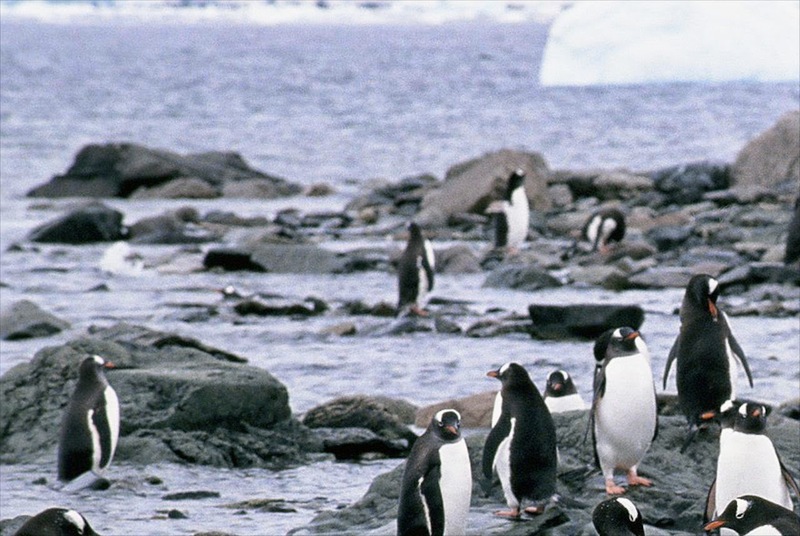 I never experienced those temperatures in Antarctica but, then, there are no penguins in Scandinavia. While it’s not the main reason for my traveling to Scandinavia, I can’t help but be interested in the Southern Cone countries’ links to the land of my ancestors. 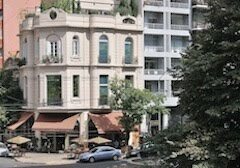 Thus, following the suggestion of a Norwegian contact in Buenos Aires, I paid a flying visit to the Caminito Tango-Café, named for the iconic pedestrian street in the barrio of La Boca. In reality, the name was a bit misleading for a place that turned out to be primarily a pizzeria, though it does offer other Argentine specialties including empanadas and medialunas (the Argentine version of the croissant). 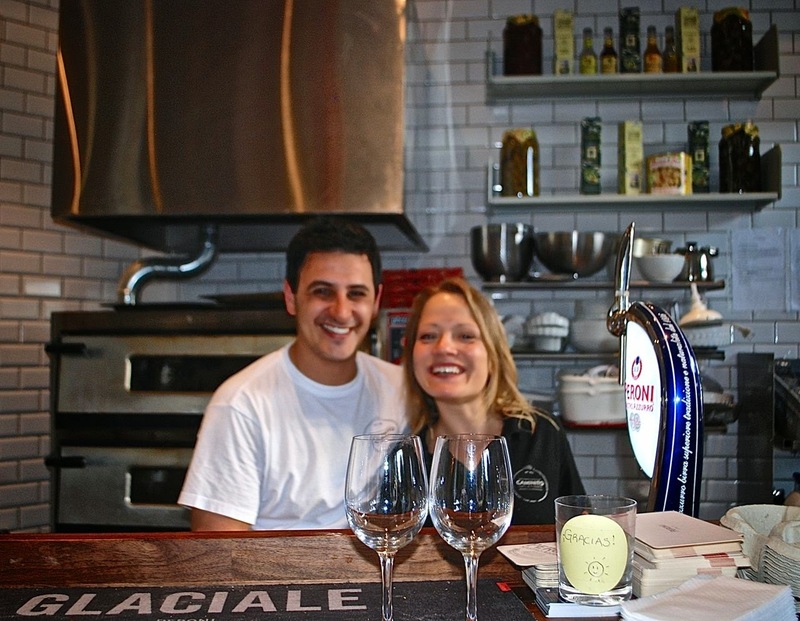 Married to a Norwegian, its owner is a gregarious young man from the Patagonian city of Río Gallegos rather than Buenos Aires, and his pizza conforms to the thin-crusted Italian style rather than the doughier, cheesier Argentine version that greets visitors to the Argentine capital. That, said Maximiliano, wouldn’t fly in Norway (his Latvian employee, pictured below with him, surprised me with her Spanish). On a short visit to Oslo, my wife and I were not really seeking pizza, though I might have indulged in a slice of onion-rich fugazzeta had it been available. 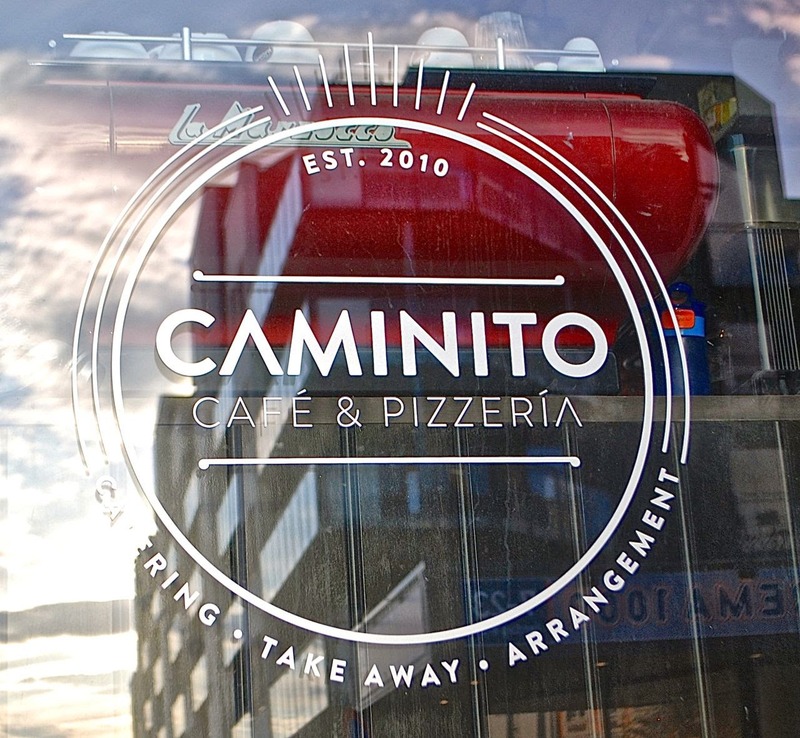 The Caminito has been in Oslo’s Grünerløkka district for four years, a virtual lifetime in the restaurant business, so he’s clearly doing something right. If and when we return to Oslo for a longer stay, I hope he’ll still be there.